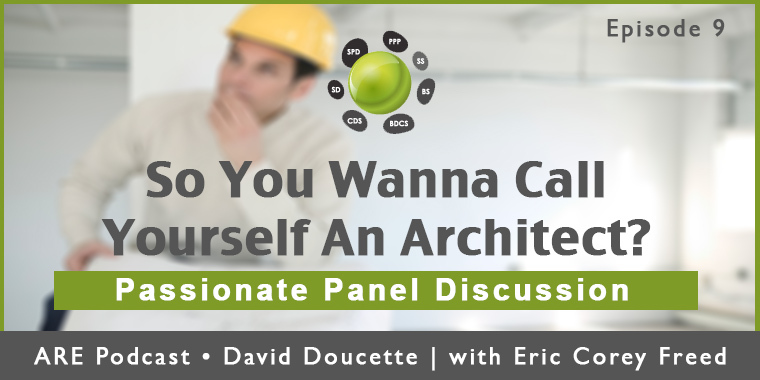 The use of the term “Architect” has garnered a lot of attention lately. Some say it’s misused, others say Architects are too protective of the term and should focus on issues that matter. We’ve put together a panel for today’s discussion including Stephen Hopkins, a recovering Architect, Brandon Kent, a designer in San Francisco, Evan Troxel, host of Archispeak Podcast, and our own Eric Corey Freed. We discuss Stephen and Brandon’s article called “Daniel Libeskind is No Architect.” We also discuss the legalities of practicing architecture and the perception of the word Architect in global marketplace. What are your thoughts on the use of the term Architect? Let us know in the comments below! I would like to be an architect because i can draw perfect, i use to win competitions of DAY high school, please advise me how to become an architect, how many years to study architecture. Hi Lesley, thanks for the comment. Generally speaking, you will need 5 years of study from an accredited architecture school and 3 years of IDP. I recommend checking out NCARB’s website as they administer the exam and IDP (which is undergoing some changes). The website is http://www.ncarb.org.